all chatting and messaging software's provides lots of privacy option one of them is hiding online status. till now this features was not available in whatsapp for android devices but now in new update of whatsapp this feature in included, So far, this feature was only available to iOS users. you can download the latest version of whatsapp by clicking on below download link. 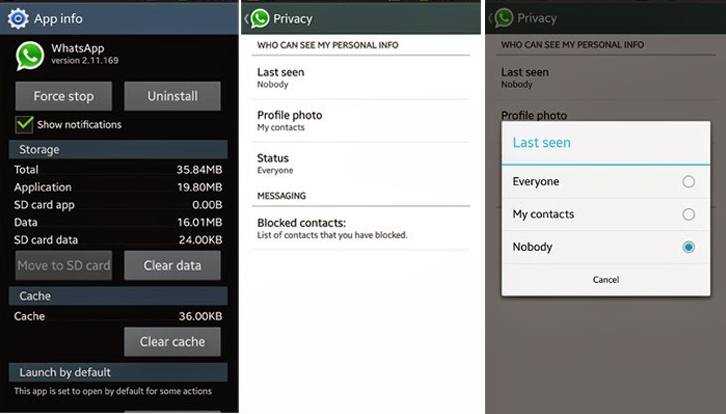 No Comment to " Android Software : How to Hide Last Seen in Whatsapp Latest Update and Privacy "